Change is the new constant. The world is constantly changing as new societies emerge, are destroyed and rebuilt yet again. In the present times, we have people who catalyse or at least strive to catalyse the rebuilding process of the society. These catalysts are known as social entrepreneurs. An entrepreneur is an individual who undertakes business activities primarily to earn huge profits for his organization. There is a wide variety of entrepreneurs depending on the nature of work undertaken by them. One of them is a social entrepreneur. A social entrepreneur is one who identifies and solves the social problems in order to make the society a better place. At some point of time, every society faces problems and it doesn’t know whether to wind the watch or bark at the moon but ultimately figures a way out of that problem. Currently, many social evils prevail in the society which need to be alleviated. Every person participating in entrepreneurial activities ought to possess a set of skills, namely leadership, management, coordination, effective control and innovation. Innovation is the key differentiator among entrepreneurs. Innovation is the expression of a new idea that reinvents an obsolete mechanism or process in order to keep the base organisation, in this case, a society, functional. When something is structured in a way that it gives a different view, yet the essence remains intact is innovation. Innovation gives an impetus to business. Without innovation, no business can progress. Innovation is of immense value for any business as it contributes to the development and expansion of business, both territorially and monetarily. Social entrepreneurs are the watchdogs of society who adopt ingenious mechanisms so that societies can function effectively. According to the social contract theory, every individual adopts a certain code of behaviour which he expects of others as well in a society. This theory is suggestive of all the rights that one is supposed to acknowledge and all duties that one owes to the society. The world today is steadily acquiring a Cimmerian shade. According to Thomas Hobbes, one of the propounders of the Social Contract Theory, every human being is self-interested and prioritises himself. This psychology fails to imbibe the sense of belongingness that an individual feels in the society where he belongs. Every man pursues what he perceives, in accordance to his own set of personal gains. The social contract theory is a guiding star. This theory explains how a society can function better by avoiding clashes. Hobbes further added that every man does all that is possible to fulfill his desire of bettering his condition which only reinforces the fact that the human race is boundlessly self-indulgent. Although he accepts that humans have a certain degree of reasonableness which they use to differentiate between the right and wrong. An individual’s contribution to the society has reduced considerably. It is vital for the society to function efficiently and that is possible only if we have a leader who could lead the society in the right direction. A social entrepreneur needs to understand the very essence and spirit of the Social Contract Theory and leave no stone unturned to restructure the failing society. It’s time that we put our thinking caps on and understand why “rebuilding” is required in our society. Most of the people in India are stuck in a quagmire of orthodox practices and there seems to be no suitable way to bring out the society from such a situation. Our society is infected with many problems which require immediate attention of the society. So here is where the need for rebuilding comes into play. Now that the reason for rebuilding has been established, it needs to be understood as to how the society shall be rebuilt by a social entrepreneur innovatively. Numerous attempts have been made by many social workers to work towards the society, but not many have succeeded since those measures lacked innovation. Social entrepreneurship is the newest wrinkle as it not only aims at fulfilment the organisational goals, but also the satisfaction of the society. More and more people are inclined towards becoming social entrepreneurs, to serve society and gain recognition for doing so. Social entrepreneurship signals the imperative to drive social change, and it is that potential payoff, with its lasting, transformational benefit to society, that sets the field and its practitioners apart. For instance, a social entrepreneur may divide is entire enterprise into groups. Each group will operate exclusive to the others, under a valid mission and vision statement whose achievement shall be of great importance. Let us consider what measures a social entrepreneur could take to contribute to the environmental problems in an innovative way. An entrepreneur firstly must understand the immediate needs and formulate a strategy accordingly .The groups so formed by the entrepreneur must decide on a short term goal that they wish to achieve and then spread a word about the same via electronic media, word of mouth, etc so that more awareness would be created regarding the plan. While the framework of the plan is spread across, opinions and suggestions shall be gathered. Making individuals participate more would make them relate more to the societal issues, making them work out a solution for the same. Once suggestions are received, the group shall apply all possible permutations and combinations in order to find out the best one to solve the problem. Once the final strategy is evolved, it should be sent across once again. At this stage, people would be asked to participate physically in the event in order to make it work. On looking at this procedure, prima facie it looks no different from any other system. The innovation involved here is the approach. The approach that has been taken here is unique as a group of individuals would be constantly in touch with the society to solve their problems. Planting trees, cleaning the neighbourhood, recycling paper and other things are small footsteps for the same. Every enterprise has a corporate social responsibility which has to be met without fail. The saying that, “All entrepreneurship is social entrepreneurship”, is untrue as social entrepreneurship has a greater responsibility towards the society and its upliftment. Muhamud Yunus is a social worker who turned into a social entrepreneur and established the Grameen Bank and introduced India to the concepts of microcredit and microfinance. He has shown himself to be a leader who has managed to translate visions into practical action for the benefit of millions of people, not only in Bangladesh, but also in many other countries. Loans to poor people without any financial security had appeared to be an impossible idea. From modest beginnings three decades ago, Yunus has, first and foremost through Grameen Bank, developed micro-credit into an ever more important instrument in the struggle against poverty. His efforts are undoubtedly magnificent. Rebuilding the society is no easy affair. One needs courage and determination to work for the development of the society, beating all the odds. Today the world is growing economically at an unimaginably fast rate, as a result of which more people want to become commercial entrepreneurs to make profits while at the same time fulfil their social responsibility. However, there is a need for social entrepreneurs who can completely focus on the social problems and find an innovative solution for the same. We the youth should put our best foot forward, to contribute to the society and fight those forces which aspire to bring the society to its knees. 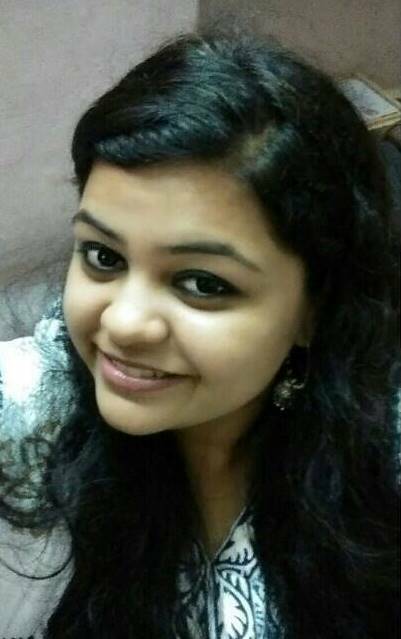 She is currently pursuing Law from School of Law, NMIMS Mumbai. She is a proficient speaker and has participated in a Moot Court Competition as a speaker and other debate competitions as well. Her hobbies are writing poems, legal essays, singing and doing social work.